Signature Windows and Door’s Traditional Sliding Sash windows were specified to replace the original windows of the Wexford Opera House. Signature Windows is an established brand for supplying and installing customised windows for sensitive historical replacement projects. 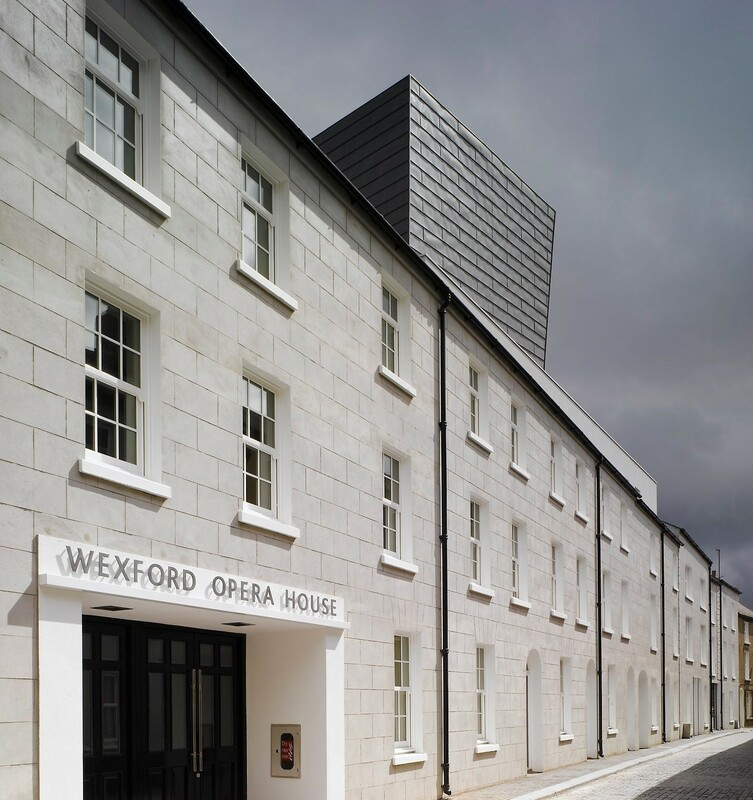 Based in Wexford’s High Street the Wexford Opera House was originally built in the 18th Century and acted as a social and cultural centre in Wexford. In 2006 the original Theatre Royal building was demolished, redesigned and rebuilt to accommodate a growing demand in the area for opera. The only remaining part of the building left standing was 33-35 High Street. The main design objective for the High Street was the conservation of the traditional street-scape. Signature Windows technicians worked closely with Keith Williams Architects to maintain the original street-scape. Signature Windows and Door’s Traditional Sliding Sash windows were specified to replace the original windows. O.P.W and Keith Williams Architects recognised that Signature’s luxury brand reputation and its 15+ years experience in supplying and installing customised windows for sensitive historical replacement projects. This made Signature Windows the ideal choice for this landmark project. To recreate the authentic feel of the street-scape Signature used their trademark Designed Around You windows. Aesthetically it was an accurate historical replication with its crafted wood profiles and depth of meeting rail, stiles, glazing bars of 22mm, sash horns and Fully Factory Finished. The Low-E Glazing meant the building met New Energy Efficiency Regulations while maintaining the original style of the windows. 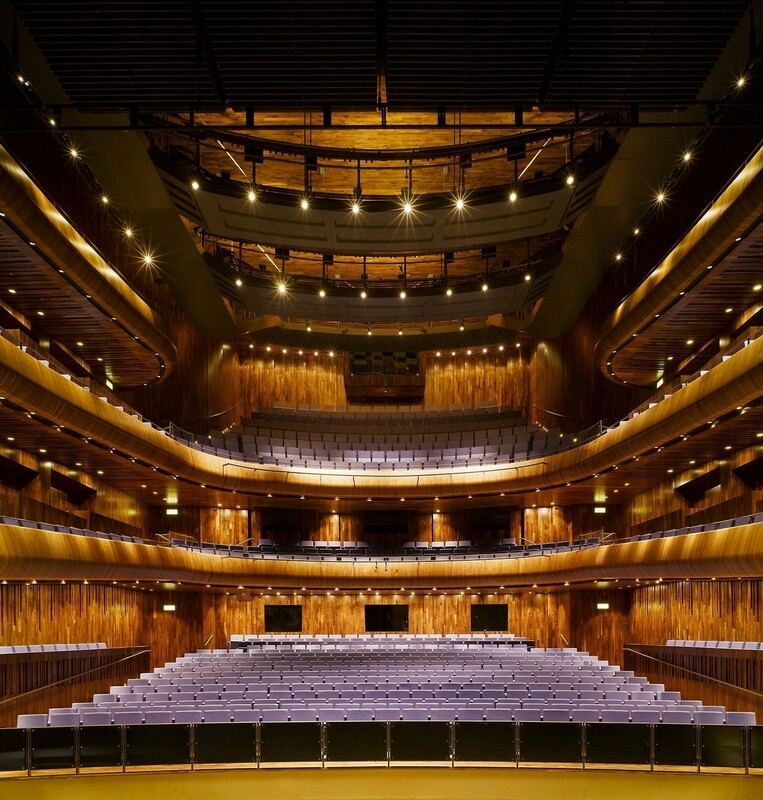 In total Signature custom crafted 60+ windows for the Wexford Opera House. "Everything went as planned. I am very happy with the Signature Windows and Doors product". "The windows worked out very well. I was happy with the project. The Signature rep. was very responsive and very helpful. The detailed drawings supplied by Signature Windows helped all parties concerned to agree on window specifics. The Signature window matched the historical detail required. Programming and Delivery in site was on time and efficient. I am very happy with the outcome."